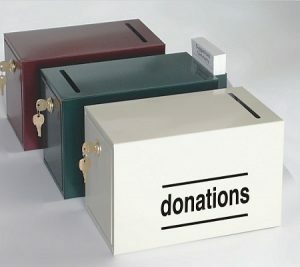 For Keys, Suggestions, Donations, Etc. 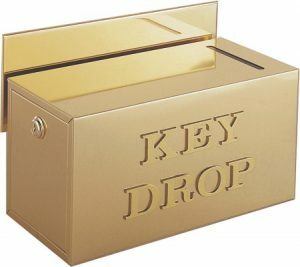 Glaro drop boxes provide an elegant, effective and secure solution for the collection of keys, suggestion cards, express check out forms, mail and donations. There are numerous other custom applications as well. 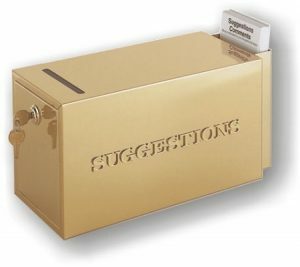 Place drop boxes at any convenient location and know that they will be used. The contents can be retrieved at any convenient time, but only by authorized people. 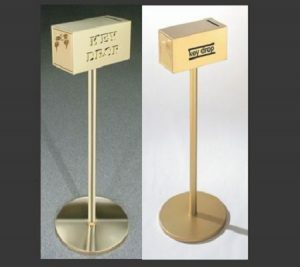 All boxes have a security lock with two keys and are available as wall mounted, counter mounted and floor standing models. Every model provides more than 500 cubic inch capacity.